Tufnell Park was named in honour of William Tufnell who held the manor of Barnsbury in 1753. Tufnell Park Road runs to the east of the station, but there is no park in the area. 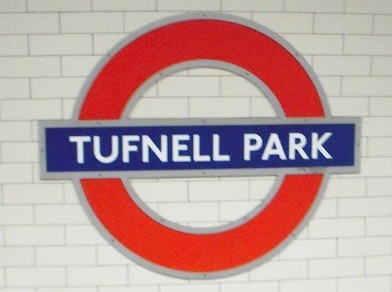 The station was opened as TUFNELL PARK on 22 June 1907.